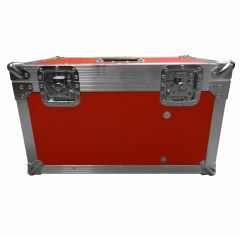 At Absolute Casing, we design and manufacture Flight Cases with the intended purpose to transport, protect and store helmets for the Motorsports industry. Take a look through the cases that we have available on our site. All cases come with the option of four standard colours: BLACK, RED, BLUE or GREY. There is also the option of screen printing or full vinyl wrapping for an extra cost, if you would like either of these features then please contact a member of our team. Can't find what you're looking for? Please call us on 01635 579518 to discuss you casing requirements.